By donating or shopping at one of our eight Dakota Boys and Girls Ranch thrift stores, you’re giving children in the community the tools they need for hope and healing. It’s because of supportive people like you that children in our communities can see the world differently, and feel love through those who care for them. Recycle your gently used goods at our thrift stores. 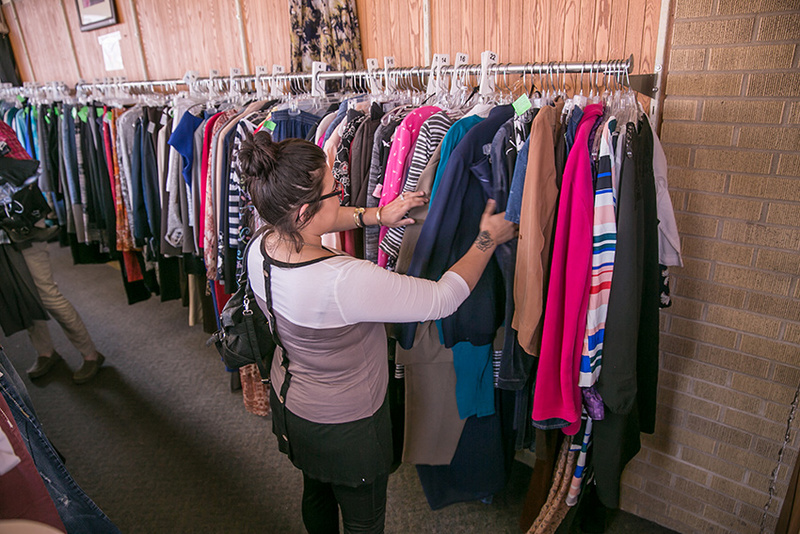 Drop your donations off at any of our thrift store locations, or call your local store to schedule an in-town pickup. Please review our Do Not Accept list before preparing your donation. Let us know if you would like a donation receipt. We will list the number of bags, boxes and larger items on the receipt. If your tax professional requires an itemized list of your donations, please create the list before you drop them off. Use our Taxpayer's Guide to assist you in determining the value of your donation. Dakota Boys and Girls Ranch Thrift Stores offer specials throughout the year. We also have semi-annual clothing clearance sales in July/August and February. Check out Dakota Boys and Girls Ranch on eBay. Dakota Boys and Girls Ranch Thrift Stores have been selling selected items on eBay since 2007. We can accommodate large groups, one-time volunteers or long-term volunteers. The Ranch is such a great cause and there is a reason for the work we do. We are helping the kids…kids who feel like there is no one else out there.